MarQuee Mall, Ayala Mall’s first dining, shopping and entertainment destination north of Manila presents “Big Bite! 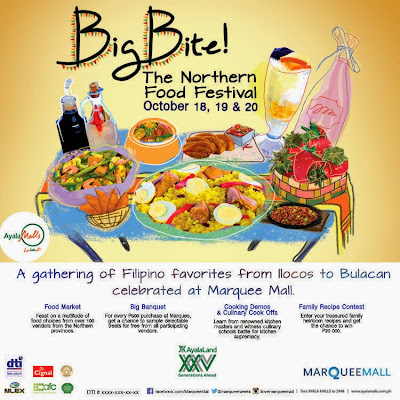 The Northern Food Festival” at the MarQuee Park, Angeles City, Pampanga from October 18 to 20, 2013. Big Bite! is a foodie’s dream come true with its huge outdoor food market featuring everything from cooked Filipino favorites to famous native delicacies and baked goodies, fresh fruits, vegetables and more. The food festival showcases over 100 food stalls featuring the best food products from across the provinces of Pampanga, Bulacan, Ilocos, Baguio, Tarlac, Nueva Ecija, Zambales, Bataan, Pangasinan, Cagayan and La Union. It’s a culinary showdown of the most mouth-watering heritage cuisines from Northern Luzon. The brainchild of MarQuee Mall, Big Bite! is envisioned to be the go-to food gathering in the country. 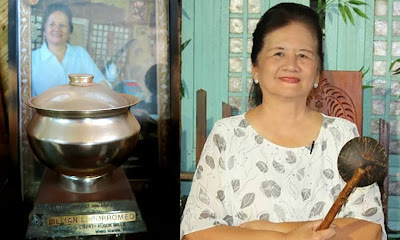 No better location lies than Pampanga, long hailed as the Philippines’ culinary capital. 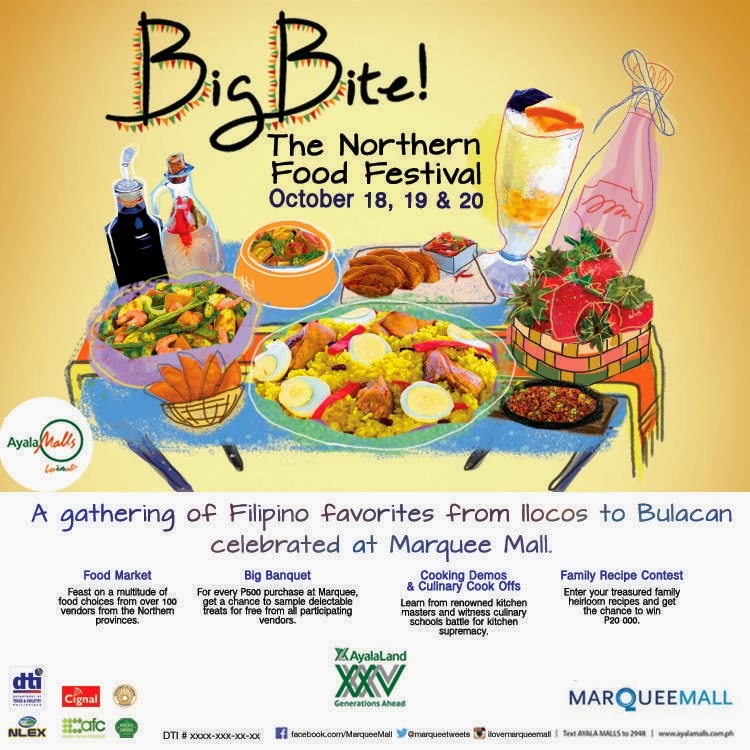 MarQuee Mall plays host to what will be the largest celebration of the Filipino’s love for great food. Adding star power to the event, renowned chefs from the Asian Food Channel will also be at Big Bite! to do live cooking demos. Festival goers will get to see their favorite TV chefs cook up a storm onstage. Families from across the north are also invited to share their heirloom recipes. They will demonstrate how their special dish has been handed down from past generations and continue to be family favorites. The food festival will also feature Big Banquet where a minimum of P500 receipt entitles shoppers to sample delectable treats at the Food Festival for free. Students, chefs and other food enthusiasts will face off in culinary cook-offs adjudged by food industry experts and celebrities. Fun events for the whole family such as food eating contests and live entertainment every night are scheduled throughout Big Bite!. Opened in 2009, MarQuee Mall is Ayala Land’s first mall north of Manila. 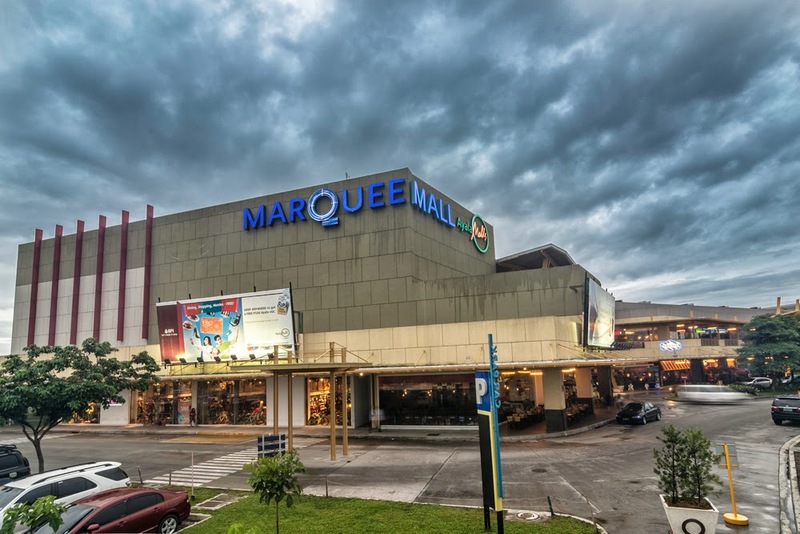 The mall is just an hour’s drive from the metro and is strategically located adjacent to the Angeles exit of the North Luzon Expressway (NLEX). With over 400 shops, exclusive boutiques, restaurants and cinemas, MarQuee Mall is the region’s premier destination for shopping, dining and entertainment. MarQuee Mall’s Big Bite! The Northern Food Festival is staged in partnership with the Department of Tourism, Manila North Tollways Corporation, Asian Food Channel, Cignal Digital TV, and Mercato Centrale Group. For further details and inquiries, please call +639177527071 or email bigbiteMarQuee@gmail.com. Like and follow MarQuee Mall’s social networking sites:facebook.com/MarQueeMall, @MarQueetweets, and instagram: @iloveMarQueemall.